Gum disease has become a common phenomenon among us these days due to the lack of attention and improper dental care. This can be reduced by taking regular good care of your teeth and gums by using specialized toothpaste developed for curing and preventing gum disease and other dental problems. Gingivitis is a common gum disease which results in gum inflammation and can lead to a more severe condition, periodontitis – an infection that can spread through the body which might affect the tissue and bone in your mouth, causing tooth loss. Plaque and tartar are the primary causes for most of the gum diseases which contain harmful bacteria. These elements stick among the teeth and create decay into the gums causing tenderness, swollen or bleeding gums. To stop and prevent gingivitis, choose the best toothpaste for gingivitis and bleeding gums to destroy germs from plaque and tartar. 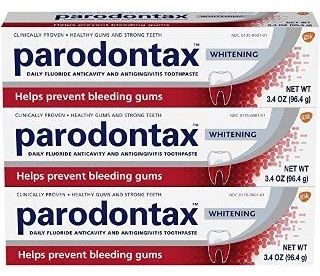 If you are looking for a toothpaste which has proven clinical record for reducing gingivitis and other gum disease, then Parodontax Bleeding Gums and Gingivitis Toothpaste is the right choice for you. It is one of the best toothpastes that stops cavity and treats bleeding gums which can be used as a regular daily toothpaste. This toothpaste is created with a special formula for improving overall oral health by removing plaque, which is the main cause for gum disease. Using this toothpaste twice a day would ensure healthier gums, stronger teeth and fresh breath all day long as an added bonus. The Parodontax toothpaste contains stannous fluoride which helps strengthen teeth and maintain a strong seal with the gums. This process does not allow any plaque to stick to the gum or teeth and reverses the process of germ buildup. The Parodontax toothpaste can be used as a daily toothpaste for whitening of your teeth while protecting it and treating gum disease. Not every special toothpaste recommended for treating gum disease can be used as a daily toothpaste. But Parodontax can be used as a regular toothpaste. The special formula of stannous fluoride in the Parodontax toothpaste provides 40% better cleaning and protection in twice daily brushing compared to a sodium monofluorphosphate toothpaste. It whitens your teeth as well as gives you minty fresh breath every time you brush while treating and protecting you from gingivitis, bleeding and other gum diseases. Its unique formula removes and reduces plaques and tartar by stopping germ buildup. This gives you better oral health and stops tooth decay. If you brush with this toothpaste twice a day; then you will have disease-free gums and strong white teeth with fresh breath. While using this toothpaste regularly, if you feel continuous irritation and discomfort in the affected area then stop and consult your dentist. Do not swallow! The line between your teeth and gum is the place where plaque & tartar bacteria buildup to cause cavity, bad breath and gum diseases like gingivitis. The Crest Gum Detoxify Deep Clean toothpaste has a special formula which targets gum line to stop germ buildup and removes plaque. This clinically proven toothpaste deactivates all harmful plaque bacteria and gives you healthier gums. 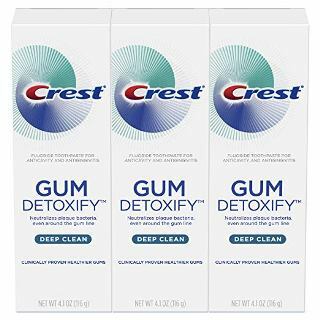 The Crest Gum Detoxify Deep Clean toothpaste has activated foam building formula which travels deep to reach areas inside your mouth to remove plaque bacteria and prevents gum disease. This toothpaste gently cools down your gums while and after brushing which help stop or even reverse swelling of your gums. It penetrates deep between your teeth and kills 99% of the germs and bacteria that causes plaque, gingivitis and bad breath without the sting of alcohol. Its advanced foaming formula removes any stains from your teeth and gives you white shiny teeth with day-long fresh breath. Brushing twice a day with Crest Gum Detoxify will clean your gum line and prevent gum disease. It’s activated deep clean foam formula targets hard to reach areas between your teeth and protects them from gum disease causing bacteria. It does not contain any alcohol, so you can enjoy fresh breath without any sting. 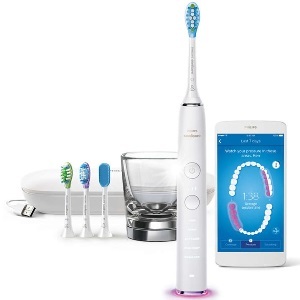 It showed great improvement record on numerous clinical trials where 99% of gingivitis patients saw a reduced tooth decay, gum bleeding and inflammation after just four weeks of brushing. Its activated foam cools the gum line and reverses swelling. It provides fresh breath after every use and deep clean formula gives shiny white teeth in just one week. Stop using if the oral health issue persists or worsens and seek expert medical help you’re your dentist. Not advised for children and not to be applied on open wounds. Swallowing in large amounts may lead to serious health issues. Colgate is one of the most renowned toothpaste brands for oral hygiene in the world and has been a pioneer of dental care solution for a long time. 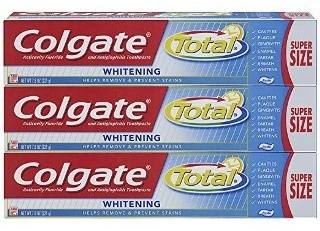 The Colgate Total Whitening Toothpaste helps to remove and prevent stains by providing you with shiny white teeth and minty fresh breath for up to 12 hours after brushing. It fights germs and prevents plaque and cavity buildup with a formula which creates a shield around your teeth and gums. It is a complete oral care toothpaste which freshens up and helps to prevent bad breath all day long. Its special formula contains Sodium Hydroxide and Sodium Fluoride Carrageenan which helps preventing plaque, gingivitis and cavities for 12 Hours. Also, the Triclosan and Sodium Saccharin helps to reverse gingivitis and cavities. Brushing with Colgate Total Whitening Toothpaste twice a day will start to strengthen the enamel around your teeth and gums within 24 hours and will help to recover your gum condition within just 4 weeks. It has a clinically proven record of 12-hour continuous germ protection which causes plaque and cavity buildup. If you want a regular toothpaste which has decades of clinically proven record in preventing plaque, gingivitis and cavities; then Colgate Total Whitening Toothpaste is just the right option for you. Its unique formula which contains the combination of Sodium Hydroxide, Sodium Fluoride Carrageenan, Triclosan and Sodium Saccharin helps create a protective shield around the teeth and gum for 12 hours against plaque, gingivitis and cavities. You will have a stain-free shiny white set of teeth just after a week of twice daily brushing with Colgate Total Whitening Toothpaste. It freshens up and stops bad breath and provides complete oral care for a longer period of time. Regular brushing with this toothpaste would reverse the spread of plaque, gingivitis and cavities within 4 weeks. May not be suitable for hyper-sensitive tooth. If you feel irritation or burning sensation, then stop use and consult dentist. Do not swallow! Seek immediate medical attention if swallowed in a large quantity. Are you looking for all-natural and organic ingredients in your toothpaste? Cali White Activated Whitening Toothpaste is the answer for you! This toothpaste is created with the most efficient detoxifying ingredients available in nature to provide a unique germ fighting and whitening formula. It contains activated charcoal which works as active carbon and natural coconut extract oil and organic baking soda to prevent plaque and cavity while delivering shiny white teeth. The Cali White Activated Whitening Toothpaste is one of the highly recommended toothpastes for sensitive teeth as it does not contain any fluoride. Also, it does not contain any types of artificial preservatives and it is absolutely safe for kids to use as a regular toothpaste. Its unique formula is filled with tea tree oil, coconut extract oil, xylitol and peppermint oil which effectively reduces bad breath and antiseptic with mineralizing elements prevents the teeth from plaque, gingivitis and cavities. Brush with Cali White Activated Whitening Toothpaste twice a day for gingivitis and bleeding gum; and you will see improvement just after 4 weeks. 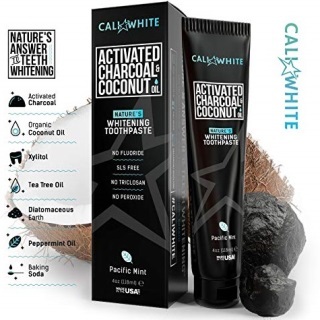 If you are a vegan looking for toothpaste which is suitable to your lifestyle, then Cali White Activated Whitening Toothpaste is the answer for you. This toothpaste is created with a unique all-natural and organic formula. It’s activated charcoal and organic baking soda whitens your teeth as well as prevents your teeth from plaque, gingivitis and cavities. The absence of fluoride, peroxide and triclosan in the ingredient of this toothpaste makes it suitable for sensitive tooth. Also it has no parabens or Sodium Laureth Sulfate (SLS) which makes it suitable for use on all ages, including kids. The tea tree oil, coconut extract oil, xylitol and peppermint oil infusion in the toothpaste works against bad breath very efficiently. Discontinue regular use if irritation and hyper-sensitivity occurs. Sensitive teeth could be an indication of a serious oral health issue. Seek expert opinion from dentists if sensitivity appears to be persistent. When you look for a toothpaste which provides superior oral hygiene and dental protection, then TheraBreath Dentist Formulated PerioTherapy Toothpaste should be your choice! This toothpaste has an exceptional formula containing concentrated PeriO2. 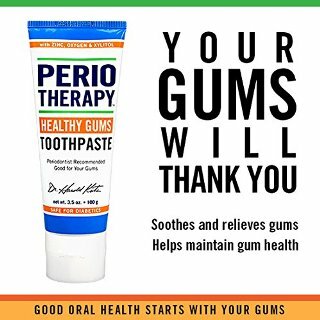 The PeriO2 is an efficient and powerful oxygenating element which has been clinically proven to supply oxygen to injured gum tissues and destroy the anaerobic bacterial germs which causes many oral health problems such as plaque, gingivitis and cavities. To recover the damaged gum cell, it provides revitalization with CoQ10 and ZincRx delivers natural antimicrobial zinc ions to prevent from bacteria which causes bleeding gums, gingivitis and cavities. It also contains the aloe vera, tea tree oil and xylitol which smoothens and creates a seal around the gum line tissue leaving you with a minty fresh breath. It does not contain any Sodium Laureth Sulfate (SLS), saccharin or any types of synthetic flavorings or colorings. This toothpaste is also free from any kinds of chemical detergents or foam creating elements. It is friendly for diabetic, vegan and kosher. Having a healthy oral condition will give you an overall healthy body. The unique formula TheraBreath Dentist Formulated PerioTherapy Toothpaste made of PeriO2, which has been clinically tested for recovering injured tissues of gum line and eliminates the anaerobic bacteria which causes many oral health issues. It also contains CoQ10 and ZincRx which reverse the process of plaque, gingivitis and cavity spreading. This toothpaste is perfect for vegans, kosher and diabetic people. It does not contain any artificial preservatives, colors or flavors and has no Sodium Laureth Sulfate (SLS), chemical detergents or foaming agents. You will get healthy gums and strong white teeth with twice daily brushing by just 4 weeks. It also treats bleeding gums, gingivitis and plaque by sealing the gum line and stopping germ buildup which causes cavities. When using this toothpaste, sharp sensitivity and discomfort may occur but for consistent issues seek your dentist’s approval. Not suitable for children. Swallowing large amounts may cause unpredictable problems. 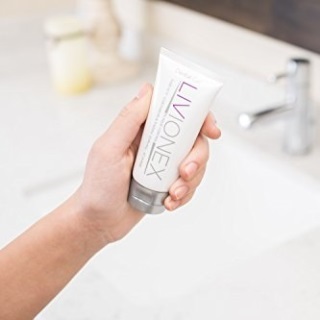 Livionex Dental Gel is one of the latest innovations for better oral care and dental protection. Recommended by many dentists, it delivers 250% more effective cleaning ability than regular toothpastes available in the market. It stops bad breath and whitens teeth efficiently with a fresh peppermint flavor. It is formulated with the safest and most efficient organic ingredients to fight germs that causes plaque, gingivitis and cavity. It contains activated Edathamil technology to provide better cleaning of your teeth preventing plaque and cavity. The organic peppermint extract is added to the ingredient to stop gum swelling and bleeding. It cools down the gum line tissue and creates sealing to make teeth stronger and does not allow the plaque to stick to gums. This toothpaste is sugar free and does not contain any artificial sweeteners. It also does not contain any chemical detergents or abrasives for cleaning your teeth. Its ingredient is free from Sodium Laureth Sulfate (SLS), Triclosan & gluten which makes it suitable for all ages. It is no wonder that Livionex Dental Gel is one of the most recommended toothpastes by dentist for a healthier mouth and stronger teeth. 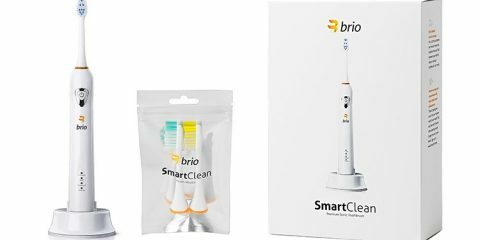 It provides a better and efficient clean without the toxic abrasives and chemical detergents, and has been proven to be 250% more efficient teeth in my cleaning experience. It is one of the best options for removing plaque and fighting against gingivitis and cavity. Its organic peppermint extract removes bad breath and gives minty fresh breath while strengthening teeth by sealing the gum line. This toothpaste is free from sugar, artificial sweeteners and parabens; people of all ages can use it as a regular toothpaste. You would see improvement to your oral health within 14 days of regular brushing. Do not swallow as it is not a good practice for most adult toothpastes. Sensitive teeth from using this toothpaste might be an indication of a serious oral health issue which requires prompt care by a dentist. 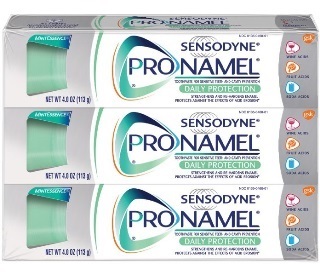 If you have sensitive teeth and need to recover from gum problem; then Sensodyne Pronamel toothpaste is the right choice for you. This toothpaste is particularly created to help shield tooth enamel against the effects of acidic decay. It helps to harden and strengthen enamel which has been weakened by acid while fighting against cavities and bad breath. This toothpaste has been formulated to deliver tooth enamel restoration and protects the enamel from acidic food and drinks while whitening teeth. It contains a Potassium Nitrate which works an Anti-hypersensitivity agent, where Sodium Fluoride and Fluoride-Ion prevents cavity. After brushing twice daily with Pronamel Gentle Whitening for a week; it mineralizes the tooth enamel surface by delivering minerals deep into its roots. Its advance whitening agent removes the stains on your teeth and strengthens up the enamel that has been softened by acidic food and drink. It has Titanium Dioxide and Sodium Hydroxide which actively fights germs and reverses the process of plaque, gingivitis and cavity spreading. Sensodyne is considered as one of best toothpaste brands for sensitive teeth and recommended by dentists all over the world. The Pronamel Gentle Whitening enamel toothpaste delivers tooth enamel healing. Its special formula protects your teeth enamel from regular acidic consumption which comes from food and drinks. It re-mineralizes deep inside your tooth which is usually destroyed by acidic foods. The Titanium Dioxide and Sodium Hydroxide protects gums from plaque, gingivitis and cavities. Also, Potassium Nitrate stops hypersensitivity and Sodium Fluoride and Fluoride-Ion prevents plaque from decaying tooth. The advanced whitening formula helps removing the stains on your teeth and gives you shiny white and confident smile with a minty fresh breath while doing the all-important job of fighting plaque, gingivitis and cavity. While Sensodyne is a brand which is reputed and well-known, there are no particular concerns. But do not overlook issues such as sensitivity, bleeding, etc. and seek your dentist’s help. Marvis Whitening Mint Toothpaste uplifts your brushing experience with a fresh flavor. It removes the plaque from your teeth by gently lifting the stains from enamel which helps fight tooth decay, gingivitis and other gum diseases. It delivers radiating white teeth with minty fresh breath for longer. This toothpaste is formulated with a combination of germ fighting agents which contains aluminum fluoride. It eliminates harmful bacteria and prevents growing of plaque and cavities on your teeth. It also contains other strong antibacterial, antifungal and antiviral properties which suppresses gingivitis and other gum diseases while keeping the enamel intact. Also microscopic granules are added for efficient removal of plaque from the surface. Marvis Whitening Mint Toothpaste is specially developed with some strong anti-inflammatory agents for eliminating the microorganisms that leads to gingivitis. It destroys the germs that get jammed among the teeth and gum line, and is also efficient in scenario of gum bleeding and fighting the primary phases of gum recession. If you want a toothpaste that treats and stops gum inflammation but don’t like the taste of medicine; then you can go for Marvis Whitening Mint Toothpaste. You will enjoy a soothing taste of mint flavor for a pleasing and long lasting freshness. All the while it carries out a whitening action on your teeth for a shiny and radiant smile. 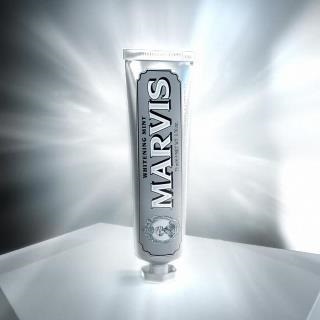 The Marvis Whitening Mint Toothpaste softly removes the exterior stains from teeth enamel while removing plaque to combat tooth decay, cavities and gingivitis. Its strong anti-inflammatory component also destroys the microbes that cause gingivitis. It fights the plaque that gets trapped between the tooth and gum line, and is also effective in cases of gum inflammation. Keep away from open wounds and burnt skin and wash your mouth thoroughly after brushing. Do not use if you have sores in your mouth or other oral issues. 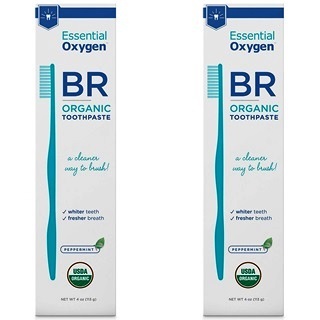 Do you want a toothpaste that is not only good for oral health but also good for planet earth and its people; then Essential Oxygen BR Organic toothpaste is the right choice for you. It is a low abrasion toothpaste which is gentle on enamel. It is suitable for those with sensitive teeth and suffer from gum inflammation. This toothpaste has a unique 3-step Pristine Protocol formula which delivers finest oral healthcare system and a white smile. This toothpaste tube or container is biodegradable and does not have any bisphenol A (BPA) which leads to many health complications. It is formulated without the use of any artificial preservatives and does not contain fluoride and Sodium Laureth Sulfate(SLS). This all-natural toothpaste is suitable for vegan and diabetic people as it is free from salt, sweeteners and gluten. The Pristine Protocol formula of this toothpaste effectively removes germs which cause tooth decay, cavities and gingivitis while being kind to tooth enamel. This nature friendly toothpaste has not been tested on animals and Essential Oxygen is a certified women-owned organization. The Essential Oxygen BR Organic Toothpaste’s Pristine Protocol formula is a low-abrasion toothpaste which provides solution for all oral health problems including protecting enamel. It is one of the best solutions for fighting gingivitis, cavities and other gum diseases effectively while delivering a radiant white set of teeth. If you suffer from tooth sensitivity and have gum problems, then you can use this toothpaste for recovering and whitening the teeth at the same time. This is formulated without any troubling ingredients such as fluoride, sodium lauryl sulfate (SLS), alcohol, or carrageenan. There are no added salt or artificial sweeteners which makes it suitable for diabetic and the absence of gluten makes it suitable for vegans. You would be able to notice improvement of your oral health the just after 2 weeks of regular use. If pain and sensitivity appears within 4 weeks of use then health suggestion from dentist must be taken. 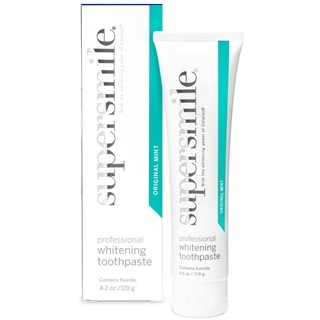 Supersmile Professional Teeth Whitening Toothpaste is widely recommended by experts and professionals for fighting gingivitis, plaque and cavities. This toothpaste is formulated with a combination of unique ingredient called Calprox technology which captures calcium peroxide and minerals. Calprox works by softly and efficiently melting the gluey bio-film from the tooth to which germ building bacteria adhere. By removing the bio-film, this toothpaste kindly eliminates stains and re-mineralizes enamel without causing any type of sensitivity. This toothpaste is designed to provide utmost protection to the teeth, enamel and gums. It is created without any ingredients that damage enamel such as silica or bleaches which causes tooth sensitivity and dehydrates enamel. Also it does not contain sodium lauryl sulfate (SLS), parabens, known allergens, bisphenol A (BPA) or any type of animal by-products. Supersmile Professional Teeth Whitening Toothpaste removes all kinds of stains from your teeth which can be caused by tea, coffee, tobacco or wine while keeping the enamel intact. It would deliver whiter teeth up 4 shades just after 4 weeks of regular use while fighting bad breath, gingivitis, plaque and cavities. Supersmile Professional Teeth Whitening Toothpaste is an expert recommended toothpaste for removing stains from your teeth and preventing gum diseases. It is a Kosher toothpaste and free from any animal by-product and also free from harmful ingredients such as sodium lauryl sulfate (SLS), parabens, known allergens, bisphenol A (BPA). It reinstates bonded teeth, bonded fillings, veneers, caps, dentures, and all dental restorations to their initial shade. It has clinically proven track record of whitening teeth up to 4 shades after 4 weeks of twice daily brushing. It also effective for reversing gum inflammation and preventing gingivitis, plaque and cavities while protecting the enamel. May not be suitable for hyper-sensitive tooth. Sensitive teeth may be an indication of serious problem that might require instant care by a dentist. Periodontitis is an oral health issue commonly known as gum disease or periodontal disease is mainly caused by growing of bacteria inside your mouth. When left unattended, it may lead to loss of teeth caused by the damage of the gum line tissue which holds your teeth. Gingivitis is one of the major causes of gum inflammation that normally leads to periodontitis commonly known as gum disease. It is important to understand that all gingivitis may not be the reason of periodontitis. Gum inflammation and bleeding gum can appear at the initial stage of gingivitis which is caused by the bacteria build up contained in plaque. At this stage, you might feel irritation at the gum line although the tooth would be strongly implanted in its socket and bone or gum line tissue damage may not be apparent. But if gingivitis is not treated properly, it will lead towards the advancement of periodontitis. The periodontitis patient’s internal gum layer and bone gets lifted away from the teeth and creates tiny gaps. These tiny gaps between teeth and gums gather microscopic remains from food and becomes infected. The immune system of our body battles the bacteria but unable to prevent the spreading of plaque and germ buildup which stays below the gum line. The bacteria in the plaque generates toxins and acidic element which causes infection and the “good” enzymes of our body engages to fight infections. This process starts to breakdown the bones and connective tissues that hold teeth in place. As gingivitis advances to the next level, the tiny gap becomes deeper and more of the gum tissues and bone get damaged. As a result, the tooth becomes loose as it is no longer strongly attached and eventually loses the tooth. Hormonal changes: The gums can become more sensitive and venerable while your body goes through hormonal changes. These could appear while going through pregnancy, puberty, menopause, and monthly menstruation. Gingivitis and other periodontal disease develops easily during this time. Critical illnesses: During critical illness such as cancer or HIV which weakens the immune system would severely affect the state of your gums. Also disease can lead to a higher risk of developing gingivitis and other gum disease as it affects the sugar processing ability of your body. Selective medications: Some selective medication can be the cause of oral health issues as they can reduce the flow of saliva that has a protective effect on tooth and gums. Also there are some drugs such as Dilantin which is used as anticonvulsant medication or Adalat which is used for Procardia, might lead to unusual tissue growth of your gum. Food habit: Excessive consumption of tea, coffee, wine and carbonated drinks can cause enamel damage. Acidic food leads to tooth decay and plaque buildup. Also chain smoking makes it difficult for gum tissue to recover itself from damage. Lack of oral hygiene: Irregular brushing and flossing habit allows easy germ buildup process and makes it easy for gingivitis and other periodontal diseases to grow. Family history: Genetically developed dental disease can carry on through generations and can be a causal factor for developing gingivitis. Changing of the way teeth fit together upon biting down, or in the fit of partial dentures. Even if you are unable to notice any of these signs of gum disease, you might still develop some state of gum disease. In some cases, periodontal disease might appear only on particular teeth, such as the molars or wisdom teeth. It should be determined whether you have a progressive gingivitis or periodontal disease only from a dentist or a periodontist. Gingivitis or periodontal disease can develop at any age and left untreated may lead to serious oral health problem and eventually tooth loss. This can be easily prevented by maintaining a healthy oral condition with twice daily brushing and the use of the best toothpaste for gum disease and regular flossing. Choosing the best toothpaste for gingivitis and bleeding gums is very important and tricky as there are many options available in the market and getting the wrong one may worsen the condition. You have to choose a toothpaste that will serve the actual purpose which is treating gum disease and gingivitis. Look for the toothpastes which has clinically proven track record of treating gum disease and gingivitis. Also it would stop further spread of plaque, cavity and gingivitis while causing no damage to enamel and closing the gap between gum line and tooth. It is better to avoid those toothpastes which will damage the enamel while fighting the plaque, gingivitis and cavities. Enamel is the natural shield of your teeth that protects the teeth from decay caused by acidic food and drinks. 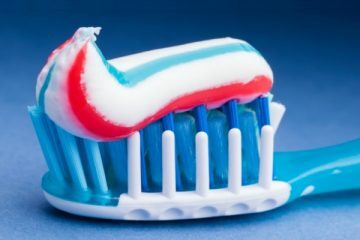 Sometimes the chemical detergent and foaming agent of the toothpaste damages and destroys the enamel leaving the teeth venerable to acidic decay. If you want to protect and prevent your teeth from plaque, gingivitis and cavities all year long; then look for a toothpaste that can be used as a regular toothpaste while also effective for fighting and healing from gum disease. Look for the ingredients which are good for germ elimination while protecting the enamel and natural minerals of your teeth. Activated oxygen and activated carbon accelerate the healing process of your gum and teeth. Potassium Nitrate is helpful to suppress hyper-sensitivity. Sodium Fluoride and Fluoride-Ion effectively prevents cavity. 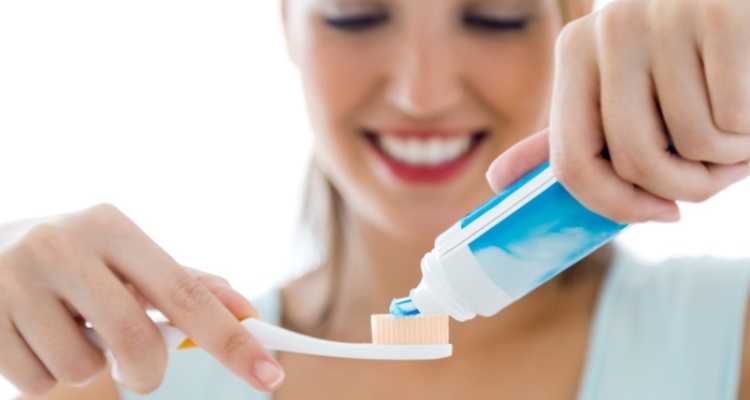 You should avoid any toothpaste that contains any type of harmful ingredients such as Sodium Lauryl Sulfate (SLS), artificial preservatives, known allergens, bisphenol A (BPA) or any animal by-product. If you are diabetic, then look for sugar free or artificial sweetener free toothpaste. Some of the specialized toothpaste for treating gingivitis and other periodontal disease contain a medicinal taste which makes it uncomfortable to use for a longer period of time. Also the organic toothpaste has an earthy flavor which also creates discomfort to some. Therefore, look for a taste and flavor of a toothpaste which you like for daily use. Nobody can say no to a radiant white smile and if you can get it while fighting and healing from gum disease, then you should go for it. So look for toothpastes which have advanced whitening formula and can deliver shiny white teeth from regular use. Seek expert dental suggestion if you are in serious or advanced stages of gingivitis or periodontal disease. It can be the cause of serious oral health complications and lead to tooth loss if left untreated. A healthy mouth is the doorway to a healthy body! A healthy lifestyle can ensure a better oral health condition. In most of the cases gingivitis or periodontal diseases develops because of our lack of knowledge and unhealthy habits such as irregular brushing, flossing and excessive acidic food and drink consumption. However, there are ways to recover and prevent periodontal diseases by regular brushing with the best toothpaste for gingivitis and gum diseases. You can ask for expert opinions from your dentist about your oral health condition and ask for recommendation before choosing. 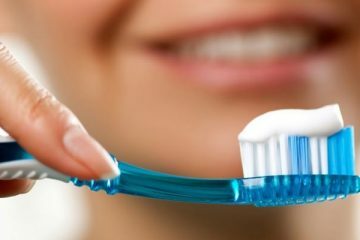 But the reviews of the toothpastes for gum diseases in this article definitely have some of the best solutions for you! What’s the Best Toothpaste for Plaque Removal? Find It Here!